The most basic fact about today is that it is New Year’s Day, the public holiday that marks the end of the holiday season, and the beginning of any number of other things from diaries to keeping accounts of various sorts. In everyone’s eyes it is a special day. If we think of time as made up of ‘stressed’ (= special days; special time) and ‘unstressed'(= ordinary days; everyday time) periods, then this is a ‘stressed’ day par excellence. It is a day that begins very consciously at midnight on New Year’s Eve with parties, fireworks, bells, and street theatre, and is ended by the television news showing how this day, because it is this day, has been celebrated around the world. There are other New Year’s days (Jewish New Year, Muslim New Year, Chinese New Year), but this is the calendar day that is most widely celebrated. So if people do celebrate by joining together for the Eucharist — and it is an excellent way for a Christian community to begin the New Year — they will expect that this is the focus of the celebration. However, if we follow the liturgical calendar they will be disappointed: there is no mention of today being New Year’s Day in the prayers in the Missal — indeed the only mention of New Year’s Day is found in the solemn blessings (Missal, p 368) where there is one for the ‘Beginning of the New Year.’ This failure to celebrate with those celebrating New Year is a major fault of the calendar reform of 1970. While it seemed to the reformers that there was no better way to mark this day than to make it a celebration of Mary’s greatest title, Theotokos, that notion is so far away from most people’s imagination that it just creates confusion. Today there is still a fragrance of celebration in the air that the liturgy must capitalise on, and build upon, and sanctify: people know that something new is happening, there is a frisson of expectation, there is a moment of levity and goodwill; this can be the experience that can shape an attitude to the eucharistic mysteries so that the celebration of ordinary life also becomes a celebration of the incarnate One who has made the whole world holy by his presence. We might wonder how this occurred, especially when there is a Votive Mass for ‘The Beginning of the Civil Year’ (Missal, p 828) but with this rubric: ‘This Mass may not be celebrated on 1 January, the solemnity of Mary the Mother of God.’ In the pre-1970 rite this day was the Octave Day and the feast of the Circumcision with the single verse, Lk 2:21, as its gospel. In order to make more of this it became the present Marian feast. However, for those parts of the world where New Year was not on 1 January the reform instituted the votive Mass with its more inclusive theology of sanctifying the experience of people as they celebrate. Alas, more and more places are thereby left without a Mass-text today that links with most people’s actual celebrations. This absence indicates a cultural and ritual weakness in the present calendar; and frequently causes a dissonance in celebrations. There is a strong case to approach today by ignoring this day as a Marian feast and as the octave-day of Christmas, and focus on it as New Year’s Day, even using the Votive Mass, praying that in the time-period that is beginning those gathered will grow in holiness. This is a great day of joy the world over: a new year has just begun and with it is the hope of new relationships of peace, new endeavours to make life better for the human family, and resolutions to start afresh in many areas of our individual lives. We as Christians share this joy for our good news is that the Father of mercies is always extending his love and care so that we can return to him and start over afresh. In sending us his Son as a human being born of Mary in Bethlehem he showed the depth of that love: he offered a new era to the whole human race, and now we are celebrating the beginning of the two thousandth and twelfth year of that era. Now let us reflect on all that we want to start afresh in the coming year, let us ask the Father to help us overcome the old ways of sin and death, and to give us his help in our new endeavours. 1. Today is a new start for so many things: it is the beginning of a new time, it offers us new opportunities, it is a time of starting afresh, it is a time of new resolution, it is a moment to let go of the past. These are among the most basic themes of all human ritual. There is some sort of new year festival found in every religion: we have only to think of the Akitu new year festival of Babylonians which has left its imprint on the Old Testament, the great stone-age burial mound of Newgrange in Ireland which celebrates an annual solar event and thus marks a new year, or the fact that while in our society many wonder about the appropriateness of Christian ritual for Christmas, no one doubts the need for rituals for new year. The notion of renewal, or starting over seems to be deep within us and we need to celebrate it. 2. This notion of the need to be able to start over, to let by-gones be by-gones is precisely what we celebrate as the redemption christ has won for us.He comes to us with the offer of his foregiveness, with the possibility of a new start, a rebirth. This is why the basic Christian ritual is baptism: the past is over, life begins afresh. This is the same renewal that lies at the heart of Christian forgiveness and the Sacrament of Reconciliation: the past is dead, we can begin anew. 3. The birth of Jesus was a fresh start for the whole of humanity: that is why we Christians started counting the years from that time just over two thousand years ago. 4. Just as we want to start over today in so many ways, the Lord offers us the opportunity to start over afresh in lives through his forgiveness. He offers us the loving hand of his friendship at each gathering at his table. He offers us the strength and grace to walk towards the good in our new year’s resolutions. 5. For many people on this day, that the past will remain past and that a fresh start can be made is just a deeply held desire that may be simply the assertion of optimism over experience; for Christians the forgiveness and new beginning we all need is the very heart of the good news of Jesus the Christ. At the beginning of the New Year many people make resolutions for the future and, although the passing of time proves that most people do not persevere, they intend to adhere faithfully and diligently to those resolutions. The New Year is usually a time of planning ahead, aspiring towards ideals, setting ambiguous targets and working to reach those ideals and achieve those targets. Some people decide to devote more time to their spouses and children because they are conscious that, in the past, they have focused too much on work or other activities and neglected family life. Others resolve to work more efficiently so that they can honestly justify their earnings. Some students choose to study systematically and consistently, hoping that they will perform successfully in their examinations later in the year. Many people decide to become healthier by dieting and exercising, especially after their festive eating and drinking during the Christmas season. But life is not as simple as making New Year resolutions and effortlessly keeping them. Experience teaches us that we are creatures of habit and that it is particularly difficult for most of us to remain disciplined enough to fulfil our New Year resolutions. In practice, we frequently abandon them soon afterwards, only to renew them again next year. Christianity teaches us that human nature is flawed because of Original Sin and that, whenever we rely on ourselves alone, we are unable to sustain our efforts to change our attitudes and improve our behaviour. We constantly need God’s help and blessing. Otherwise all our efforts are ultimately doomed to failure. Thus it is appropriate to ask God’s blessing on the New Year and on everything we undertake in the future. Invoking God’s blessing and grace, which is a share in his divine life, on us and our activities acknowledges our dependence on God. It admits that we are people of faith. It also challenges us to be humble about our talents and achievements by reminding us that our happiness and well-being originate in God’s infinite and unconditional love, which is the source of our life. It is noteworthy that the Church begins the new civil year by celebrating the motherhood of Mary. The Solemnity of Mary, Mother of God provides a possibility to renew our devotion to Mary, who is also Mother of the Church because she is our spiritual mother — and we are the Church. We begin the New Year by reflecting on Our Lady’s humility and faith. She is a model for all Christians, and the beginning of the New Year is a good time to commit ourselves again to imitating her openness to God’s will and her love for Christ and his Church. What are our New Year resolutions? As we plan ahead and aspire towards ideals for the future, are we aware of the need for God in our lives? For example, will we start and finish each day with a prayer that asks for God’s blessing? We begin another year by praying for God’s blessing on our lives and on our work. Anecdote: There is a beautiful, little story about a long, tedious train journey made, one Christmas day, by some elderly residents of a nursing home who were on their way to a vacation spot. At one station, a young mother with a small child entered the train. The child smiled at all the grim faces around him and began moving from one lap to another talking, shouting with joy and chatting with everyone. Instantly, the grim and silent atmosphere in the train was changed to one of joy and happiness. Today we remember with joy and gratitude, how Mary and her Divine Son Jesus transformed a hopeless, joyless and sinful world into a place of joy and happiness. Since we celebrate the Feast of Mary the Mother of God on New Year's Day, may I take this opportunity to wish you all a Happy and Peaceful New Year. I pray that the Lord Jesus and his mother Mary may enrich your lives during the New Year with an abundance of God's blessings. Today's Feast of "Mary, Mother of God" is a very appropriate way to begin a new year. This celebration reminds us that the Blessed Virgin Mary, the Mother of God, is also our Heavenly Mother. Hence our ideal motto for the New Year 2013 should be "Through Mary to Jesus!" Today's feast answers the question of why Catholics honour Mary. Non- Christians sometimes believe that we Catholics worship Mary as a goddess who gave birth to our God. Non Catholic Christians argue that there is no Biblical basis for honouring Mary, and that Catholics worship her and make her equal to God. They fail to understand why we honour Mary by naming churches and institutions after her. They do not understand what we mean by calling her the Mother of God. The truth is that we Catholics do not worship Mary as we worship, adore God. We honour her, respect her, love her and seek her intercession praying, "Holy Mary, mother of God, pray for us sinners." We do not, ever, equate her with God nor replace God with her. Rather, we honour her primarily because God honoured her by choosing her to become the mother of Jesus, the Second Person of the Holy Trinity, when He took on our flesh and became Man. We learn the great truth that Mary is the Mother of God from St. Luke's gospel, in the message given by the angel to Mary: "You are going to be the mother of a Son and you will call Him Jesus, and He will be called the Son of the Most High." When the Blessed Virgin Mary visited Elizabeth, after the angel had appeared to her and told her that she would be the mother of Jesus, Elizabeth said, "Why should this great thing happen to me, that my Lord's mother comes to visit me?" [Lk. 1:43]. The Holy Scriptures teach us that Jesus was both God and man. John writes: "The Word became flesh and lived among us" [Jn. 1:14]. St Paul refers to this event when he writes to the Galatians, "God sent forth His Son, born of a woman". The doctrine of the Church: Based on these references in the New Testament and on the traditional belief of the early Church, the Council of Ephesus affirmed in AD 431 that Mary was truly the Mother of God because "according to the flesh" she gave birth to Jesus, who was truly God from the first moment of His conception by Mary. Twenty years later, in AD 451, the Council of Chalcedon affirmed the Motherhood of Mary as a dogma, an official doctrine of the Holy Catholic Church. Since Jesus is God and Mary is his mother, she is the Mother of God, Mother of the Messiah and the Mother of Christ our Divine Saviour. We also learn from the Holy Scriptures and Tradition that God filled the mother of His only Son with all celestial graces, freed her at the moment of her conception from original sin, allowed her to play an active role in the redemptive work of Jesus, and finally took her to heaven, body and soul, after her death. As He was dying on the cross, Jesus gave us the precious gift of His own mother to be our heavenly Mother. 1) Let us strive to be pure and holy like our heavenly Mother. All mothers want their children to inherit or acquire their good qualities. Our heavenly Mother is no exception. She succeeded in training the Child Jesus, so that He grew in holiness and in "favour before God and man." Hence our best way of celebrating this feast and honouring our heavenly Mother would be to promise her that we will practice her virtues of faith, obedience, purity and humble service. In this way, we will be trying to become the saintly sons and daughters of our heavenly Mother, the holy Mother of God. 2) Three ways to make the New Year meaningful: a) Something to dream, b) Something to do, and c) Someone to love. "I have a dream'" said Martin Luther King. We should all have a noble plan of action (dream a noble dream) for every day in the New Year. We need to remember the proverb:" Cherish your yesterdays, dream your tomorrows, but live your today." It has been truly said that an idle mind is the devil's workshop. We must not be barren fig trees in God's vineyard. We must be always engaged, doing good to others and loving our fellow men and women, who are our brothers and sisters in Christ. This becomes easy when we make God the center of our life and realize His presence in all the people around us. Let us light a candle instead of blaming the darkness around us. Just as the moon borrows the sun's light to illuminate the earth, we must radiate the light of God shining within us. 3) A resolution for the New Year: We might resolve to start every morning with a short prayer: "Good morning, Lord. Thank You for extending my life for one more day. Please grant me a special anointing of your Holy Spirit so that I may do your holy will today and avoid everything evil." We might also resolve to say a short prayer, every evening, the last thing we do before we go to sleep: "Thank you Lord for helping me to do your will today. Forgive me, Lord, for saying 'no' to your grace several times today. 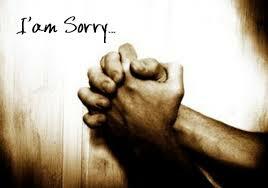 I am really sorry for all my sins of the day. Please pardon me. And, as we close our eyes, we might say: "Good night, Lord. "Father, into your hands I commend my spirit." Have a Happy New Year, overflowing with a "Yes" to God our Father, to the Lord Jesus our Savior and to the Holy Spirit our Advocate and our Guide to every good deed. Welcome to a new year! Thank God we have lived to see it! I have the privilege of accompanying you, if you wish, every day of this new year as we read the gospel passages together, like the two disciples on the road to Emmaus. Like us, those disciples had no idea what lay in store for them. Their minds were fixed on a disastrous past and a bleak future. But Jesus was walking beside them, talking with them, drawing out their fears: he was nearer than they could ever have imagined. “Did not our hearts burn within us as he talked with us on the road?” (Luke 24:32). We know only one thing about the future: the Jesus will walk with us, no matter what happens. Mary too will walk with us. It is appropriate to have a mother to accompany our first steps. January 1st is always her feast. 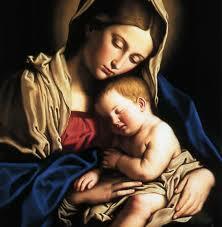 Her title, ‘Mother of God, affirms equally the humanity and the divinity of Jesus. The Nestorians – followers of Nestorius, the 5th-century archbishop of Constantinople – said that Christ was two persons: the man Jesus and the divine Son of God. This view was condemned at the Council of Ephesus (431 AD), which insisted that he was one person with two natures, divine and human. The most emphatic way they could say this was to affirm that Mary was not just the mother of the man Jesus, but that she was the mother of God. This was to say that Christ was one person, not two. The word used was ‘Theotokos’ (Greek for ‘God-bearer’). The Council of Chalcedon (451 A.D.) continued the use of this term, and it has become orthodox Christian teaching. Note that it is more a statement about Christ than about Mary – or rather, equally so. Icons of the ‘Theotokos’ are common now in the West. In a sense, when a child is born a mother is born. When a child is born, its mother begins to be a mother. Even if she was already mother to other children this new child makes her a new mother; a new chapter in her mothering begins. In the birth of the Son of God, Mary begins to be the Mother of God. When a Child is born, a Mother is born. Jesus is given the name Yeshua – “The Lord saves.” The rite of circumcision unites Mary’s child with the chosen people and makes him an heir to the promises God made to Abraham – promises to be fulfilled in the Child himself. Today we honor Mary under her most ancient title – Theotokos, Bearer of God: In accepting her role as mother of the Messiah, she becomes the first disciple of her Son, the first to embrace his Gospel of hope, compassion and reconciliation. As Mary, the young unmarried pregnant girl, believes and trusts in the incredible thing that she is to be a part of, even the most ordinary of us can believe in our parts in the drama, too. Two old friends bumped into one another on the street one day. One of them looked forlorn, almost on the verge of tears. His friend asked, "What has the world done to you, my old friend?" The sad fellow said, "Let me tell you. Three weeks ago, an uncle died and left me forty thousand dollars." "That's a lot of money." "But you see, two weeks ago, a cousin I never even knew died, and left me eighty-five thousand free and clear." "Sounds like you've been blessed...." "You don't understand!" he interrupted. "Last week my great-aunt passed away. I inherited almost a quarter of a million." Now he was really confused. "Then, why do you look so glum?" "This week... nothing!" It’s the same way with the blessings God gives us every day. I don't deserve the comfortable home I live in, the beautiful scenery around me, the clean water that I drink. But after receiving these gifts (and a multitude of others) for years, I sometimes fail to be grateful. I've come to expect these good things. And when one of them is removed I get upset. In the Gospel we have the story of the shepherds who come to see the new born king. The Israelites were waiting for the messiah, but when he did come into the world few recognized him. It is only the simple shepherds who are blessed with the gift of seeing the Messiah. To meet the Lord, to receive his blessing, we have to be simple, like the shepherds, who believed the good news. They listened, they obeyed, they believed. They saw a baby wrapped in swaddling clothes, a very ordinary sight, yet they believed that this was the Son of God! It is faith that helps us to see the extraordinary in the ordinary events of life. This is the greatest blessing that we can receive - the gift of faith. It will helps us to see the hand of God in all that happens in our life and to discover His presence in the very ordinary events of the new year. Mary too experienced the events taking place and pondered them in her heart. Her faith moved her to believe that this simple, homeless infant, lying in a manger, was the Son of God. Her faith made her share this gift of her child with the shepherds, the wise men and with all those who down the centuries have believed in him. Mary listened, she obeyed, she believed. Following the precepts of the law, she takes him to the temple to be circumcised. He was given the name “Jesus”! In whose name we are blessed each time we utter that name. Like Mary we could begin the New Year perhaps by blessing God and blessing everybody. It does not mean that we have to necessarily go on saying “God Bless you”! “God bless you!” but rather that we should be positive towards others, accepting, and loving in our words and in our deeds. Everything, every time, and everyone is truly a blessing from God for those who believe! Sometime ago I attended a funeral of an elderly lady who had several children all well settled in life, one of whom was deaf and dumb. I was happy to see that they had a person brought in to translate into sign language whatever was said during the mass. After the funeral service the whole family gathered for a little get-together in the parish house and it was good to see all the family members really making an effort to reach out to their dad who was in his 80’s, and would now be alone. After a while the deaf and dumb daughter spoke in sign language which the interpreter translated for us. She said she was grateful to her mum who made her feel special in spite of her difficulty. She shared how one day when she was seven she came home and tried to call her mother, ‘Mum’ which she had never done before because she was dumb. This dumb girl made an effort and finally got the sound ‘maaam’ with great effort on her part. She shared that when her mother heard her dumb daughter say ‘Mum’ for the first time, it brought tears to her eyes and she embraced her. Only then did the dumb girl realize what a joy she had brought to her mother by calling her ‘Mum.’ Have we who are believers realized what a joy we give to our God when we call him ‘Abba Father’, and what a blessing it is when we say the name ‘Jesus’? A shoeshine boy was plying his trade in New York’s Grand Central Station. A silver medal danced at his neck as he slapped his shine cloth, again and again, across a man’s shoes. “Sonny,” said the man curiously, “what’s the hardware around your neck?” It’s a medal of the mother of Jesus,” the boy replied. “Why her medal?” said the man. “She’s no different from your mother.” “Could be,” said the boy, “but there’s a real big difference between her son and me.” The boy’s devotion to Mary, the mother of Jesus, invites me to ask: What role does Mary play in my life? How might she play an even bigger role? Life is what you put into it! A son and his father were walking in the mountains. Suddenly, his son falls, hurts himself and screams: "AAAhhhhhhhhhhh!!!" To his surprise, he hears the voice repeating, somewhere in the mountain: "AAAhhhhhhhhhhh!!!" Curious, he yells: "Who are you?" He receives the answer: "Who are you?" Angered at the response, he screams: "Coward!" He receives the answer: "Coward!" He looks to his father and asks: "What's going on?" The father smiles and says: "My son, pay attention." And then he screams to the mountain: "I admire you!" The voice answers: "I admire you!" Again the man screams: "God Bless you!" The voice answers: "God Bless you!" The boy is surprised, but does not understand. Then the father explains: "People call this ECHO, but really this is Life. It gives you back everything you say or do. Our life is simply a reflection of our actions. If you want more love in the world, create more love in your heart. If you want more competence in your team, improve your competence. This relationship applies to everything, in all aspects of life; Life will give you back everything you give to it." In his book Roots, Alex Haley tells how his African ancestors name their children. Eight days after the child’s birth, the father took the child into his arms whispered its name into its ear. That night the father completed the ceremony. Carrying the child out under the stars, alone, he lifted the baby up to the sky and said, “Behold the only thing greater than yourself.” This naming rite helps us appreciate better the two rites that surrounded the birth of Jesus: circumcision and presentation. Circumcision initiated Jesus into the community of God’s chosen people. Presentation consecrated Jesus to God. I have always been a less than adequate speller. Practice and learning phonics with my children has aided in my improvement, but sometimes I still get it wrong. And, sometimes it can be in the most embarrassing ways. Several years ago, I had planned the family Christmas to be celebrated in my home. I had decorated, cooked and planned the entire event to the last detail. I had even mailed formal invitations to each family member. They read as follows: “The honor of your present, is requested on December 25th, to a family celebration of Christmas, at five o'clock in the evening.” I didn't catch my mistake, but my entire family did. Being the good-humored bunch that they are and loving a practical joke, they all became conspirators. I had made it too easy for them to get a good laugh. Christmas evening, at exactly five o'clock, my doorbell rang. Putting on my best holiday smile and producing my warmest "Merry Christmas", I swung open the door, expecting to meet the cheery faces of relatives and loved ones. My salutation was caught in midair when, instead of family faces, I was greeted to an enlarged copy of my invitation with the word "presents" highlighted, and all the gifts everyone had planned to bring stacked neatly on my doorstep. No one was in sight. I began to hear snickers coming from the bushes along the side of my house. Realizing I had been "had", I collected the presents, brought them inside and closed the door. They weren't going to get the last laugh! I rushed to my bedroom, found a sheet of poster paper and wrote in large letters, "Thank you for your presents, I do hope you come again next year! ", highlighting the word "presents". Then I taped it to my front door and waited, and waited, and waited, and waited. We're a bunch of stubborn strong-headed Scots and admitting defeat wasn't going to come easily. Finally I relented, being I was the hostess! I opened the door and collected relatives from behind, bushes, trees, shrubs and cars. Dinner was everything I expected. We laughed and cajoled. It made a perfect Kodak moment. After dinner, as is tradition in our home, the oldest grandchild there reads the Christmas story from Luke's account. We pray, thanking God for the prior year's blessings and then begin opening the gifts. When the wrapping paper was put away and children bustled around in the den with new toys, the adults nibbled on dessert. This is the time when conversation generally gives way to introspection. That night would be no different. Watching our children play, my brother-in-law sighed, "How often do we want God's presents more than His presence?" Everyone smiled. 1. Did you know that New Year's Day is the one holiday that is almost universal? It is the world's most observed holiday. I trust you've made your New Year's resolutions one of which is to be in worship each week. Well done for this first Sunday. I won't ask you if you've resolved to lose the weight you gained between Thanksgiving and Christmas, or if you're planning on joining a health club, or if you're going to run five miles a day. Five miles, by the way, is my total aggregate of a lifetime of running. 1. I will go to no doctor whose office plants have died. 2. I'm going to follow my husband's suggestion to put a little excitement into my life by living within our budget. 3. I'm going to apply for a hardship scholarship to Weight Watchers. 4. I will never loan my car to anyone I have given birth to. 2. Joke writer Ed McManus has some words of comfort for those of us who are setting resolutions: "Don't worry about [keeping] those 2013 News Year's resolutions," he says. "You only have to deal with them until the end of February and then you can give them up for Lent." It sounds like he has been spying on some of us. 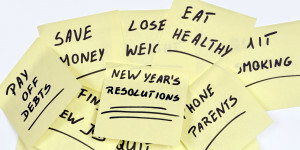 Resolutions are good, especially if there are changes we need to make in our lives. I heard about one poor guy who dialled his girlfriend and got the following recording: "I am not available right now, but thank you for caring enough to call. I am making some changes in my life. Please leave a message after the beep. If I do not return your call, you are one of the changes." It's good to make changes, for the most part. As we are often reminded by our critics, our spouses or our children, none of us is perfect. In fact, some of us might have some deep regrets about the way we've lived our lives. 3. Dr. Les Parrott tells about a guy in Fredericksburg, Virginia named Cliff Satterthwaite who helps people get rid of their regrets. Each New Year's Eve Mr. Satterthwaite sets up a booth there in Fredericksburg where those celebrating New Year's Eve can come for a moment of sober reflection. Put the emphasis on "sober" reflection. Those who come write their regrets on a scrap of paper, then they set a match to them and turn them to ashes in an adjacent canister. Literally, their regrets go up in smoke. At least, that's the general idea. 4. Tom Ervin, Professor of Music at the University of Arizona was attending a conference for music teachers in New York. While at the conference he purchased a talking metronome. A metronome is a device for counting the beats in a song. Before Tom and his son boarded their flight home, Tom hefted his carry-on bag onto the security-check conveyor belt. The security guard's eyes widened as he watched the monitor. He asked Tom what he had in the bag. Then the guard slowly pulled out of the bag this strange looking device, a six-by-three-inch black box covered with dials and switches. Other travellers, sensing trouble, vacated the area. "It's a metronome," Tom replied weakly, as his son cringed in embarrassment. "It's a talking metronome," he insisted. "Look, I'll show you." He took the box and flipped a switch, realizing that he had no idea how it worked. "One . . . two . . . three . . . four," said the metronome in perfect time. Everyone breathed a sigh of relief. We sometimes miss the great opportunities of life because we get sidetracked. I once heard the tale of a talented and gifted bloodhound in England that started a hunt by chasing a full-grown male deer. During the chase a fox crossed his path, so he began now to chase the fox. A rabbit crossed his hunting path, so he began to chase the rabbit. After chasing the rabbit for a while, a tiny field mouse crossed his path, and he chased the mouse to the corner of a farmer's barn. The bloodhound had begun the hunt chasing a prized male deer for his master and wound up barking at a tiny mouse. It is a rare human being who can do three or four different things at a time--moving in different directions. The Apostle Paul knew his number one priority in life was to live his life to the honor and glory of God by preaching the Gospel. However, we know that Paul is not in a plush hotel room but in prison. He receives a report that all is not well at the Church in Philippi. His very life could be ended at any moment. And the list goes on. However, the Apostle Paul would not allow anything to cross his path that would deter him from his priority. Paul knew that his new life was a gift from God, not from the promises of humanity. His life was to be lived for his master. Nothing would sidetrack him of that priority! "Leisure," from the Latin, means "to be free." Leisure is anything that restores you to peace while you are doing it. So, gardening, golf, reading, puzzles, and many other things can restore us to peace as we do them. Another cousin of leisure is the word "paragon." This little-used word means "the second thing that we do in life that keeps the first thing in tune." Hence, our work may draw energy from us, and we have then a "paragon," a leisure thing we do in order to restore us. Most often, to build toward leisure demands that we disassemble something else. In Thomas Moore's book Meditations, he tells of a pilgrim walking along a road. The pilgrim sees some men working on a stone building. "You look like a monk," the pilgrim said. "I am that," said the monk. "Who is that working on the abbey?" "My monks. I'm the abbot." "It's good to see a monastery going up," said the pilgrim. "They're tearing it down," said the abbot. "Whatever for?" asked the pilgrim. "So we can see the sun rise at dawn," said the abbot. 8. Who Needs Resolutions? We Need a Revolution! Welcome to this New Year. I trust that one of your resolutions for this year is to be in worship every week. Good for you. That's one resolution you've kept for at least one week. I heard about one poor fellow who decided to make only resolutions this year he could keep. He resolved to gain weight, to stop exercising, to read less and watch more TV, to procrastinate more, to quit giving money and time to charity, to not date any member of the cast of Baywatch, and to never make New Year's resolutions again. Maybe he's onto something. Why torture ourselves when we never keep those resolutions more than a week anyway? What we need, of course, is not another resolution, but a revolution. We need a turning point in our lives. Like the wise men of old we need to catch a glimpse of a guiding light, and we need to follow that light to a New Life in Christ. I like a list of resolutions prepared by the Rev. Walter Schoedel. He calls them '7-UPS for the New Year.' No, this has nothing to do with the soft drink. These 7-UPS fall under the heading of attitudes and actions. The first is WAKE UP--Begin the day with the Lord. It is His day. Rejoice in it. The second is DRESS-UP--Put on a smile. It improves your looks. It says something about your attitude. The third is SHUT-UP--Watch your tongue. Don't gossip. Say nice things. Learn to listen. The fourth is STAND-UP--Take a stand for what you believe. Resist evil. Do good. 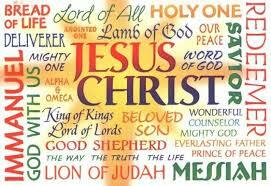 Five, LOOK-UP--Open your eyes to the Lord. After all, He is your only Savior. Six, REACH-UP--Spend time in prayer with your adorations, confessions, thanksgivings and supplications to the Lord. And finally, LIFT-UP--Be available to help those in need--serving, supporting, and sharing. If you're going to make New Year's resolutions this year, let me suggest Rev. Schoedel's list. Why do we bother to make New Year's resolutions in the first place? Why do we feel this need each January 1 to set new goals? Maybe it is because resolutions help us to identify our priorities. They answer the Question: how do I want to invest my time, energy, money, and talents in this New Year? The New Year reminds us that time is passing. It is up to each of us to maximize the potential of every moment. Pastor Stephen Brown taught swimming and diving for a number of years. He tells about a young boy named Billy. Billy had watched so many professional divers and wanted so much to dive like them that he refused to take time to learn the basics. Time after time Brown tried to help Billy see that the most important thing about diving was to keep his head in the proper position. If his head entered the water properly, Brown explained, the rest of his body would enter the water properly--at least, more properly than it had been. Billy would dive into the pool, do a belly flop, and come up grinning, "Mr. Brown," he would shout, "were my feet together?" "Billy, I don't care whether your feet were together or not," Brown shouted back. "Make sure your head is straight, then everything else will work out." The next time Billy would stand on the edge of the pool and really concentrate. Then he would dive and, once again, make a mess of it. "Mr. Brown, were my hands together?" "Billy," Brown would groan in frustration, "I'm going to get you a neck brace and weld it onto your head. For the hundredth time, if your head is right the rest of you will be right. If your head is wrong, the rest of you will be wrong." And isn't that true in all of life? If our head is wrong, our marriage will probably suffer. If our head is wrong, our priorities will be fouled up. If our head is wrong, it may even affect our health in a negative way. God understands our distress and God seeks to make us new persons so that we can handle our distress more effectively. Wife to Spouse: "I don't want to brag, but here it is February and I've kept every one of my New Year's resolutions. I've kept them in a manila folder in the back of my desk!" 12. Boast not thyself of tomorrow; for thou knowest not what a day may bring forth. Some of us make resolutions like one man, named George, I heard about recently. He said to a friend: "There's nothing like getting up at six in the morning, going for a run around the park, and taking a brisk shower before breakfast." His friend Bob asked, "How long have you been doing this?" George said: "I start tomorrow." We're only two days away from the New Year, and I can feel the anticipation--or dread, depending on your point of view--growing. I heard one guy say he already dreads the New Year. He said, "The holidays aren't quite over and already I'm about 90 days ahead on my calories and 90 days behind on my bills." Some of you can identify with him. No man is poor who has had a godly mother. James S. Hewett, Illustrations Unlimited, Tyndale, 1972, p. 381. Motherhood and Compassion. A few days ago I made a marvelous discovery. In the Hebrew language of the Old Testament the word for “compassion” comes from the root word, “womb.” The picture is of a birthing. Something new is being born. If I apply this in a human experience, it means that my compassionate acts always give the other person another chance. I do not hold past failures against them. I offer a “fresh start.” I want this for myself from others. Am I willing to give it to the other person? Such compassion will dramatically change the way we relate to each other. Brooks Ramsey, Pastoral Counseling and Consulting Center, Memphis TN. Parent's Influence. When parents understand the source of joy, when they decide to let Christ rule in their home, they have chosen the way of joy that will never disappoint them. Billy Graham’s parents were both committed Christians. Although he was a businessman, his father had at one time felt a desire to preach. The way never seemed opened for him. After Billy entered the ministry, the father said, “I prayed for years for a way to be opened. But never once was there the slightest encouragement from God. My heart burned and I wondered why God did not answer my prayer. Now I feel I have the answer. I believe that my part was to raise a son to be a preacher.” Imagine the joy that thought brought to him and to his wife. Proclaim, Father’s Day Sermon: Joy in the Home, June 18, 1989. "Once the New York Times was asked to help a group of club women decide on the twelve greatest women in the United States. After due consideration, the editors replied, 'The twelve greatest women in the United States are women who have never been heard of outside of their own homes.'" Jones concludes, "I ask you, who was greater, Thomas A. Edison or his mother? When he was a young lad his teacher sent him home with a note which said, 'Your child is dumb. We can't do anything for him.' Mrs. Edison wrote back, 'You do not understand my boy. I will teach him myself'. And she did, with results that are well known. Morning Glory, January 8, 1994. Over one hundred years ago, G.K. Chesterton asked: "Can anyone tell me two things more vital to the race than these; what man shall marry what woman, and what shall be the first things taught to their first child?" Chesterton goes on to comment that: "the daily operations surrounded her with very young children, who needed to be taught not so much anything but everything. Babies need not to be taught a trade, but to be introduced to a world. To put the matter shortly, a woman is generally shut up in a house with a human being at the time when he asks all the questions that there are, and some that there aren't...Our race has thought it worth while to cast this burden on women in order to keep common-sense in the world....But when people begin to talk about this domestic duty as not merely difficult but trivial and dreary, I simply give up the question. For I cannot with the utmost energy of imagination conceive what they mean....If drudgery only means dreadfully hard work, I admit the woman drudges in the home, as a man might drudge (at his work)....But if it means that the hard work is more heavy because it is trifling, colorless, and of small import to the soul, then I say give it up...."
How can it be an (important) career to tell other people's children about mathematics, and a small career to tell one's own children about the universe?...A woman's function is laborious...not because it is minute, but because it is gigantic. I will pity Mrs. Jones for the hugeness of her task; I will never pity her for its smallness. Steve Farrar, Family Survival in the American Jungle, Multnomah Press, 1991, pp.113-114. Years ago, a young mother was making her way across the hills of South Wales, carrying her tiny baby in her arms, when she was overtaken by a blinding blizzard. She never reached her destination and when the blizzard had subsided her body was found by searchers beneath a mound of snow. But they discovered that before her death, she had taken off all her outer clothing and wrapped it about her baby. When they unwrapped the child, to their great surprise and joy, they found he was alive and well. She had mounded her body over his and given her life for her child, proving the depths of her mother love. Years later that child, David Lloyd George, grown to manhood, became prime minister of Great Britain, and, without doubt, one of England’s greatest statesman. James S. Hewett, Illustrations Unlimited, Tyndale, 1972, p. 375. Dr. G. Campbell Morgan had 4 sons and they were all preachers. Someone once came into the drawing room when all the family was there. They thought they would see what Howard, one of the sons, was made of so they asked him this question: "Howard, who is the greatest preacher in your family?" Howard had a great admiration for his father and he looked straight across at him and then without a moments hesitation he answered, "Mother." A. Edersheim, Sketches of Jewish Social Life, Eerdmans, p. 139. I cannot tell how much I owe to the prayers of my good mother. I remember her once praying, "Now Lord, if my children go on in sin it will not be from ignorance that they perish, and my soul must bear swift witness against them at the day of judgment if they lay not hold on Christ and claim Him as their personal Savior." Grandma, on a winter's day, milked the cows and fed them hay, hitched the mule, drove kids to school...did a washing, mopped the floors, washed the windows and did some chores...Cooked a dish of home-dried fruit, pressed her husband's Sunday suit...swept the parlor, made the bed, baked a dozen loaves of bread...split some firewood and lugged it in, enough to fill the kitchen bin...Cleaned the lamps and put in oil, stewed some apples before they spoiled...churned the butter, baked a cake, then exclaimed, "For goodness sake!" when the calves ran from the pen, and chased them all back in again...Gathered eggs and locked the stable, back to the house and set the table...cooked a supper that was delicious, then washed and dried all dirty dishes...fed the cat and sprinkled clothes, mended a basketful of hose...then opened the organ and began to play: "When You Come to the End of a Perfect Day..."
Reminisce, premiere issue, 1991, pp. 46-7. A teacher gave her class of second graders a lesson on the magnet and what it does. The next day in a written test, she included this question: " My full name has six letters. The first one is M. I pick up things. What am I?" When the test papers were turned in, the teacher was astonished to find that almost 50 percent of the students answered the question with the word Mother. Our minister's wife told of filling out a form in her pediatrician's office. Beside the blank marked "occupation" were these words: "If you devote the greater part of your time to loving, caring and making a home for your family, put a big star in this space." Legally, a husband is the head of the house and a pedestrian has the right of way. Both are perfectly safe and within their rights as long as they do not try to confirm it! Lorne Sanny of The Navigators once wrote of his mother: "My mother gave birth to me in a frontier house on a Midwestern prairie. On the kitchen counter she placed a list of the ingredients necessary for my formula. At the top of the list was 'prayer,' and that remained at the top of her list for me throughout her life...I have her to thank for firmly establishing my spiritual roots." Today in the Word, January, 1990, p. 23. A teacher asked a boy this question: "Suppose your mother baked a pie and there were seven of you--your parents and five children. What part of the pie would you get?" "A sixth," replied the boy. "I'm afraid you don't know your fractions," said the teacher. "Remember, there are seven of you." "Yes, teacher," said the boy, "but you don't know my mother. Mother would say she didn't want any pie." Bits and Pieces, June, 1990, p. 10. It is in the home that we first develop our sense of who we are. Every child has aright to a secure, happy home life. Every child has a right to the love and nurture of his or her parents. The famous Psychiatrist Dr. Alfred Adler had an experience when a young boy which illustrates just how powerful such a belief can be upon behavior and ability. He got off to a bad start in arithmetic and his teacher became convinced that he was “dumb in mathematics.” The teacher then advised the parents of this “fact” and told them not to expect too much of him. They too were convinced. Alder passively accepted the evaluation they had placed upon him. And his grades in arithmetic proved they had been correct. One day, however, he had a sudden flash of insight and thought he saw how to work a problem the teacher had put on the board, and which none of the other pupils could work. He announced as much to the teacher. She and the whole class laughed. Whereupon, he became indignant, strode to the blackboard, and worked the problem much to their amazement. In doing so, he realized that he could understand arithmetic. He felt a new confidence in his ability, and went on to become a good math student. We need to encourage our children. We need not only to surround them with love but we need to help them feel competent as persons. I wish every one of us had inscribed on the walls of our home the words of Dorothy Law Nolte’s work, “Children Learn What They Live,” and then kept this constantly before us in our daily activities. A sermon called The Divine Family, author unknown. 1. Subdue self-will in a child and thus work together with God to save his soul. 2. Teach him to pray as soon as he can speak. 3. Give him nothing he cries for and only what is good for him if he asks for it politely. 4. To prevent lying, punish no fault which is freely confessed, but never allow a rebellious, sinful act to go unnoticed. 5. Commend and reward good behavior. 6. Strictly observe all promises you have make to your child. The love of a mother is never exhausted. It never changes--it never tires--it endures through all; in good repute, in bad repute, in the face of the world's condemnation, a mother's love still lives on. The most creative job in the world involves fashion, decorating, recreation, education, transportation, psychology, romance, cuisine, literature, art, economics, government, pediatrics, geriatrics, entertainment, maintenance, purchasing, law, religion, energy and management. Anyone who can handle all those has to be somebody special. She's a homemaker. Richard Kerr quoted in Homemade, February 1989. Women who never have children enjoy the equivalent of an extra three months a year in leisure time, says Susan Lang, author of Women Without Children. If that figure seems high, remember that the average mother spends 3.5 more hours a week doing housework than would a woman without children, plus 11 hours a week on child-related activities. This adds up to an additional 754 hours of work every year--the equivalent of three months of 12-hour, 5-day work weeks. Signs of the Times, May, 1992, p. 6. Bob Greene (in the Detroit Free Press) cited a study by attorney Michael Minton on the monetary value of a wife's services in the home. First he listed the various functions she performs: chauffeur, gardener, family counselor, maintenance worker, cleaning woman, housekeeper, cook, errand runner, bookkeeper/budget manager, interior decorator, caterer, dietitian, secretary, public relations person, hostess. Using this impressive list of household duties, Minton figured the dollar value of a housewife's work in today's (1981) labor market. He came up with the amount of $785.07 a week. That's $40,823.64 a year! Bob Greene, Detroit Free Press. Eight common challenges faced by mothers of young children: 1) Low self-esteem, 2) Monotony and loneliness, 3) Stress from too many demands 4) Lack of time with husband, 5) Confusion about discipline, 6) Home atmosphere, 7) Need for outside role models, 8) Training of children. Susan A. Yates, And Then I Had Children, Wolgemuth & Hyatt. Percentage of mothers of infants (children less than 1 year old) who are employed or looking for work: 51. U.S. Census Bureau Current Population Survey. A four-year-old and a six-year-old presented their Mom with a house plant. They had used their own money and she was thrilled. The older of them said with a sad face, "There was a bouquet that we wanted to give you at the flower shop. It was real pretty, but it was too expensive. It had a ribbon on it that said, 'Rest In Peace,' and we thought it would be just perfect since you are always asking for a little peace so that you can rest." The mother of three notoriously unruly youngsters was asked whether or not she'd have children if she had it to do over again. "Yes," she replied. "But not the same ones." Ruth Bell Graham, Prodigals and Those Who Love Them, 1991, Focus on the Family Publishing, p. 69. It moved and yielded at my will. I could change that form no more. A young child's soft and yielding heart. And I could change it never more.